This add-on second tier is an ideal accessory for any keyboard player with more than one instrument. 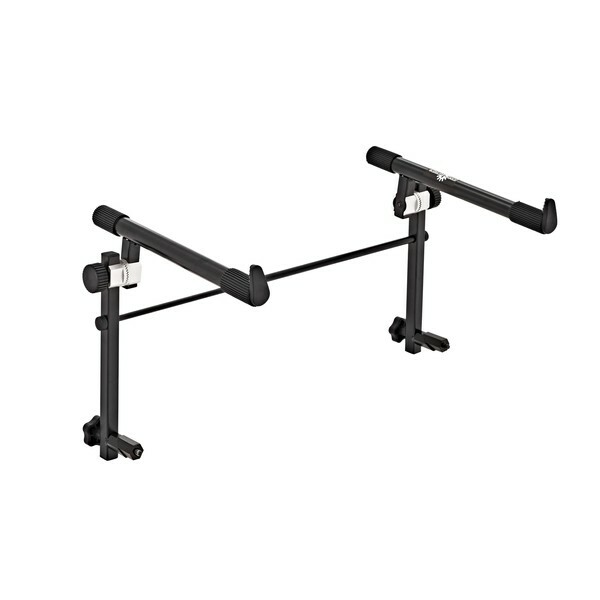 This stand features supports that fit and lock in to tubular keyboard stands and an adjustable horizontal bar for added strength. 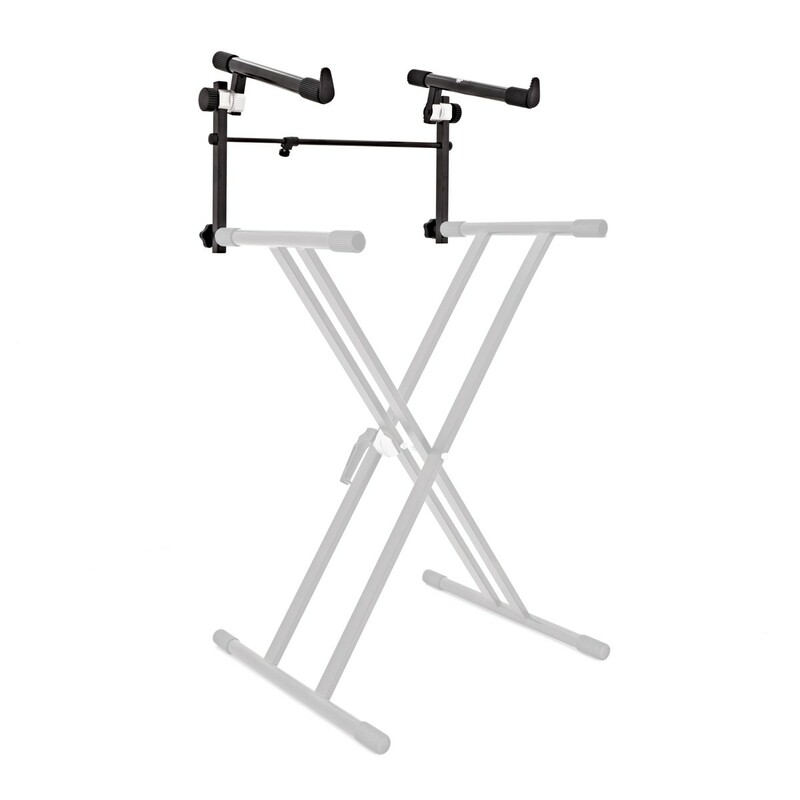 The tiers are angle adjustable, making it suitable for performers that wish to sit or stand as they play. 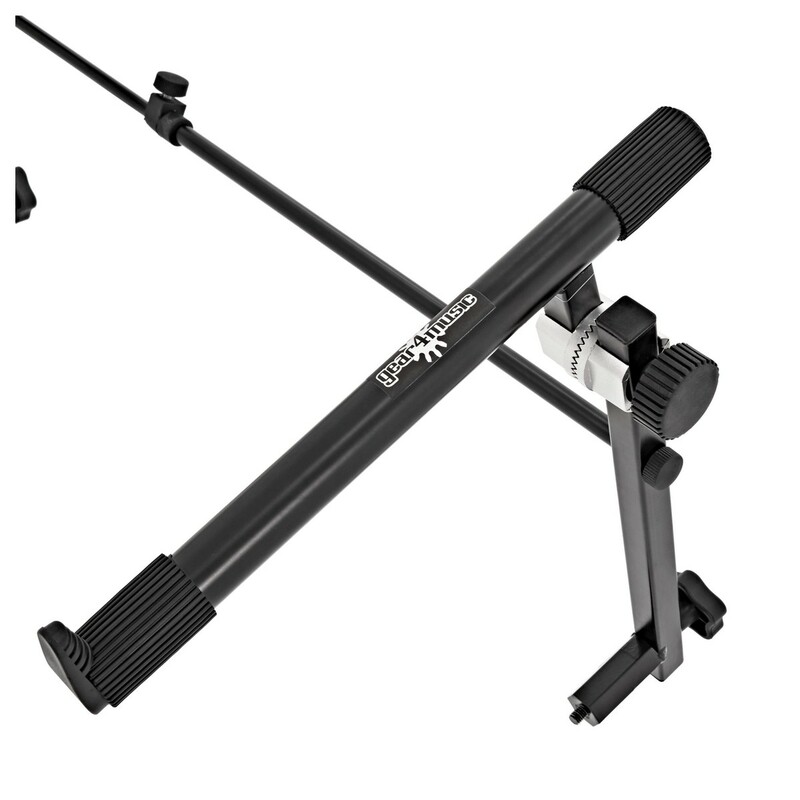 This 2nd tier is an ideal add-on to the Double Braced X Frame Stand by Gear4music.